International jetsetters and student travelers alike flock to Vietnam. Vietnam’s newfound popularity comes as no surprise. Vietnam offers just about every type of natural attraction imaginable—from tropical beaches, to mountain highlands, to desert sand dunes. Travelers from all over the globe fall in love with Vietnam’s light and powerfully flavorful cuisine even more delicious than pho and Vietnamese iced-coffee. 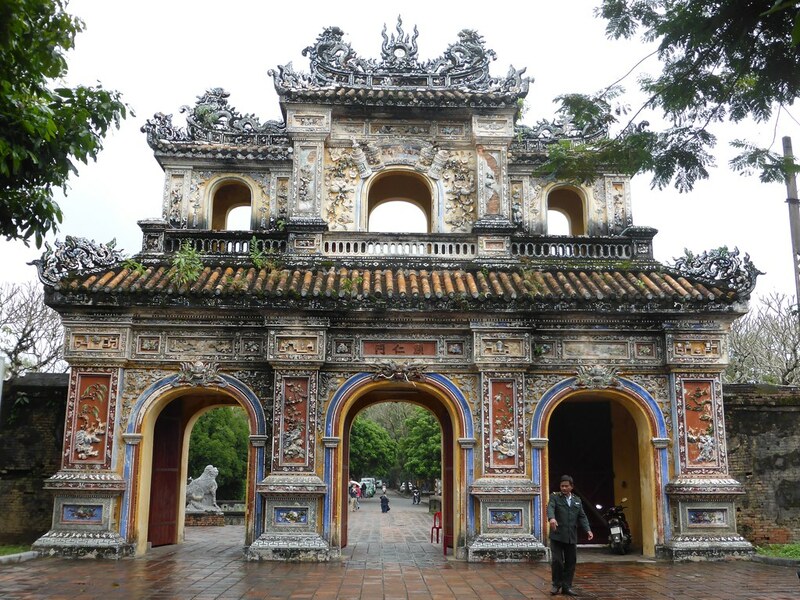 Vietnam’s history leaves traces of Chinese, French and Japanese culture intertwined. Travelers looking for natural wonders, life-changing cuisine or rich cultural history will thrive. Prepare to have an eye-opening stay in Vietnam, because the country offers so much to do and see. Explore these 10 Places to See in Vietnam for student travelers. Ho Chi Minh City represents an exciting fusion of old meets new. “The Grand Hotel, and other hotels built during Vietnam’s colonial period represents the uniqueness of what Vietnam has to offer,” said a spokesperson for the hotel. French architecture dots the Saigon River and reflects Vietnam’s colonial past, but luxury shopping, cars and restaurants reflect the city’s rapidly developing wealth. The city still offers plenty of enriching and affordable attractions to student travelers. Ho Chi Minh, referred to by locals as Saigon, appeals to foodies looking for life-changing street food such as pho, banh cuon and banh xeo. Ben Thanh Market spans larger than any other market in the city, and with hundreds of daily visitors, earned its name as the most famous market for food and souvenirs. Pham Ngu Lao offers the best the most accessible and fun area for students. 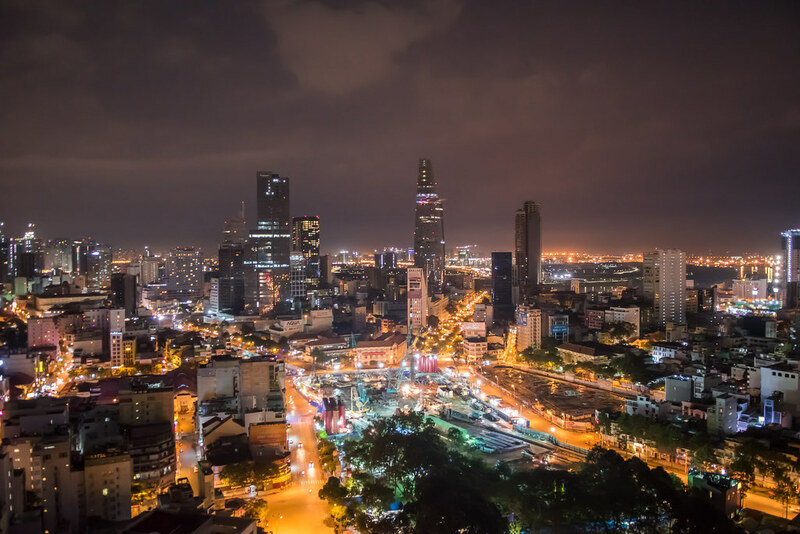 The area features affordable hotels, travel agencies, delicious food, fun bars for backpackers and proximity to Saigon (downtown Ho Chi Minh City). When visiting other countries, you should always take note of how the locals sustain themselves. The Mekong Delta encompasses the most significant agricultural and fishing regions in the country, but the over 33,500-mile long water system also features scenic nature destination and excellent food. Naturally boat tours will give you the truest local experience of the delta. Affordable tours offer the ideal option for students to see rice patties, lush orchards, stilt houses and traditional lifestyles in rural Vietnam. The Mekong Delta also features vibrant floating markets. Travelers can visit a floating market on a motorboat tour and purchase local delicacies, fruits and other goods from local vendors. 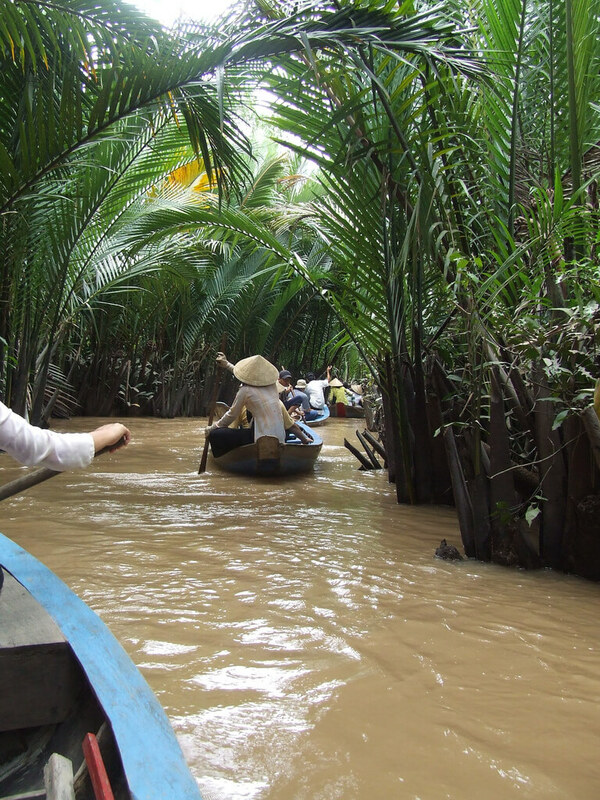 For those seeking an unforgettable experience to rural Vietnam, book a ticket to the Mekong Delta. Vietnam offers an unexpectedly diverse geography. Mui Ne lies just a four-hour train from Ho Chi Minh City and offers a relaxing and scenic change of pace from the fast-paced city. Mui Ne features breathtaking sand dunes that you’ll find approximately 25km from Mui Ne, near Mui Ne’s beautiful white sand beaches. Blend in with the locals by renting a motorbike and make the absolute most of your day-trip to the dunes. When you tire from frolicking in the dunes, relax at the nearby beach. When visiting a new country, don’t hesitate to visit where they locals take holiday. Da Lat has served as getaway destination for Vietnamese locals since French colonial times. Da Lat sits over 1,500 meters above sea level and offers refreshingly cool climates and countless nature sights. The Datlanla Waterfalls make a huge splash in Da Lat. The falls reside a mere 10-minute drive from the city. Visitors can hike up the hill and swim in the clear water, or take the coaster ride that travels from the top to the base of the waterfalls. For students seeking refuge from Vietnam’s sometimes stifling heat, Da Lat will give you the comfort you need. When students recharge from a long semester, the beaches in Nha Trang feel like a slice of heaven. Nha Trang lies in central Vietnam and this jaw-dropping beach town attracts hundreds of Russian and Chinese expats. Nha Trang invites thousands of tourists from the east to the Tran Phu Beach that runs down central Nha Trang. Vietnam houses world-famous snorkeling and diving. A divine (and affordable) way to see Nha Thrang’s marine life involves booking a three-island snorkel. Embark on an all-day tour on the ocean snorkeling, visiting small islands and soaking up the sea. According to the Con Dao at Rainbow Diving, “Nha Thrang is one of the best diving locations in the world because they’re more intact than the Great Barrier Reef.” Nha Trang also has affordable yet luxurious mud baths, and Thap Ba Spa offers amenities like bud baths and mineral water. If you’re in the market for tropical paradise, you’ll find it at Nha Trang. For travelers looking for quintessential small-town Vietnamese charm away from the tourist destinations, you must visit Hoi An. Hoi An lies in central Vietnam just one hour from Da Nang. This heavenly town served as one of Asia’s most important trading posts for centuries, which has left behind a unique fusion of Japanese, French and Chinese cultural and architectural influences. 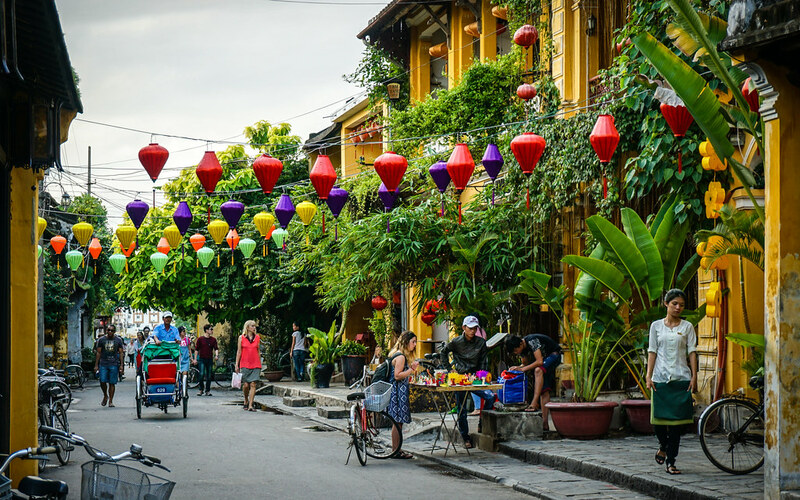 Spend a few days exploring the photogenic Old Town and do some shopping for custom clothing (Hoi An is known for its excellent tailors), lanterns and other gifts. At night breathtaking lanterns light the waterfront, so enjoy the views at a waterfront restaurant that serves Hoi An’s exclusive delicacy, Cao Lau, made with prok, noodles and local greens. Hue will make history buffs feel like they’ve died and gone to impeccably, intricately designed heaven. Vietnam’s ancient capital, Hue, features more tourist attractions than any other city in Vietnam. The sites in Hue feature weathered temples, places of worships and palaces that make a trip to Hue feel like a trip through history. The Hue imperial city, Khai Dinh Tomb and Thien Mu Pagoda give tourists an insight into Vietnam’s rich cultural history. Hue also offers unique cuisine and most people know them for Bun Bo Hue, a light noodle soup. The dish features a pork-broth base, round rice noodles and beef slices, spiced with lemongrass and chili oil. Plan a trip to Hue and experience what it’s like to live in a postcard. You can’t go to a new country and skip the capital city. When you find yourself in Hanoi, visit the Old Quarter, a 1,000-year-old section of Hanoi, and take in sights of the old trading streets while having lunch in a street-facing café. Visit the body of Ho Chi Minh at the Ho Chi Minh Mausoleum and learn about the revolutionary leader’s remarkable life. Take a break and enjoy a glass of Vietnamese iced coffee—strong, sweet and delicious. Olivia Franklin, who spent a year in Vietnam as a part of the Fulbright Program, said that her time in Hanoi changed her life and she remembers the liveliness of the streets the most vividly. “The second you step outside, you are confronted with a myriad of delicious scents, a cacophony of noises from rattling pushcarts to blaring horns, and delightfully overwhelmed by the zooming motorbikes,” Franklin said. Hanoi provides college travelers with the perfect opportunity to step up their Instagram games with photos of the city’s picturesque streets. For travelers hoping to visit indigenous cultures, stop by Sapa’s picturesque scenery. Sapa lies in Northwest mountains of Vietnam and serves as a refuge from the heat. Sapa sits overlooking the Muong Hoa Valley that features cooler climates, breathtaking terraced rice fields and unforgettable natural beauty. Sapa central market offers shoppers indigenous clothing and patterns. “Visiting Sapa feels like I’m leaving Vietnam and experiencing a completely different culture,”Ho Chi Minh City native Le Le said. Take a trip to the Silver Waterfall and enjoy the spectacular views of the Hoang Lien National Park. Book your trip to Sapa, and enjoy Vietnam’s lesser-known indigenous cultures. For nature lovers, Halong Bay provides world-famous Instagram opportunities. Located a mere hour drive from Hanoi and known worldwide for stunning rock formations rising out of the sea, Halong Bay will make waves in your travel plans. Spend the night aboard a boat and experience an immaculate sunrise. “The most memorable part [of my boat trip] was meeting fellow travelers and getting to know their stories while cruising along the divine Halong Bay,” George Washington University alum Roma Patel said. Cat Ba island lies inside Halong bay, and the national park features over 30 mammal species. The bay also offers a few illuminated and picturesque caves that provide perfect locations for both exploring and dining. Whether you’re with a significant other, friends, family or traveling solo, Halong Bay can be romantic or adventurous, and absolutely unforgettable. Mailinh is a rising senior in the George Washington University's School of Media and Public Affairs. She is a lover of travel, truffle pasta, and all things news/entertainment media.